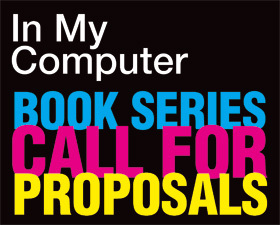 The LINK Center for the Arts of the Information Age invites artists, thinkers, and computer users to submit proposals for its ongoing book series “In My Computer”. One’s computer is a repository of valuable things that, for some reason, never went public: projects, drafts, short notes, private emails, unreleased interviews, unpublished texts, tales, poems, lists of quotes, image collections, spam email collections, whatever. If you think this content may be relevant or interesting also for a wider audience; if you think it may work well in book form, circulated digitally or printed on paper; the book series “In My Computer” may be the right jar for your jam. “In My Computer” is a series of books collecting unpublished material available in your computer, produced by LINK Editions and circulated both in digital and printed form through the print-on-demand (POD) service Lulu.com. The book can take any shape compatible with POD’s production and distribution standards. In My Computer # 1 | Miltos Manetas has been published in 2011, and is available for buying and free download here. LINK Editions is a publishing initiative of the LINK Center for the Arts of the Information Age. LINK Editions uses the print on demand approach to create an accessible, dynamic series of essays and pamphlets, but also tutorials, study notes and conference proceedings connected to its educational activities. A keen advocate of the idea that information wants to be free, LINK Editions releases its contents free of charge in .pdf format, and on paper at a price accessible to all. Link Editions is a not-for-profit initiative and all its contents are circulated under an Attribution-NonCommercial-ShareAlike 3.0 Unported (CC BY-NC-SA 3.0) licence. More info: http://www.linkartcenter.eu/. WHEN. The deadline for the submission is September 15, 2012. After the deadline, a jury will select the proposals that will be published in 2012 – 2013. Andreas Broeckmann, art historian, curator, Director of the new Leuphana Arts Program at Leuphana Universität Lüneburg and former director of Transmediale, Berlin. Ben Fino-Radin, artist and Digital Conservator, Rhizome at the New Museum, New York. Domenico Quaranta, art critic, curator and Artistic Director of the Link Center of the Arts of the Information Age.